"The audience was certainly thrilled to be there, judging by the uninhibited laughter that erupted throughout the film, punctuated by bursts of applause after standout scenes. The symphonic richness of the score, far from seeming inflated or intrusive, lent depth and nuance to “Modern Times,” a comic indictment of industrialization and the exploitation of labor, the last Chaplin film in which he appears as the Little Tramp." The performances in Kure (Hiroshima) & in Kyoto were very successful. Especially in Kyoto, many children (5 year old~ high school students) attended the concert and they laughed a lot and were very excited. I know that they had a great time . We are very glad because we always make people happy with our Orchestral Live Performances of Chaplin Films. The orchestra members also love Chaplin’s Films very much ! 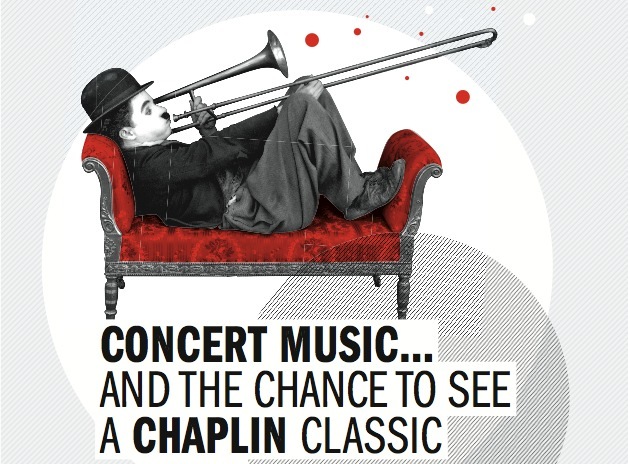 Discover the hilarious box office hit a Chaplin film with its music played live can be! ...Organize a Live Screening Now !